Imatran Spa Chalets 1 leisure homes are located next to Imatra Spa. The perfectly furnished leisure home includes everything from tableware to light fixtures and electronics for entertainment. You have indoor access to Imatra Spa’s upscale services via the adjacent Promenade Hotel. Imatran Spa Chalets 1 leisure homes are located next to Imatra Spa. The perfectly furnished leisure home includes everything from tableware to light fixtures and electronics for entertainment. 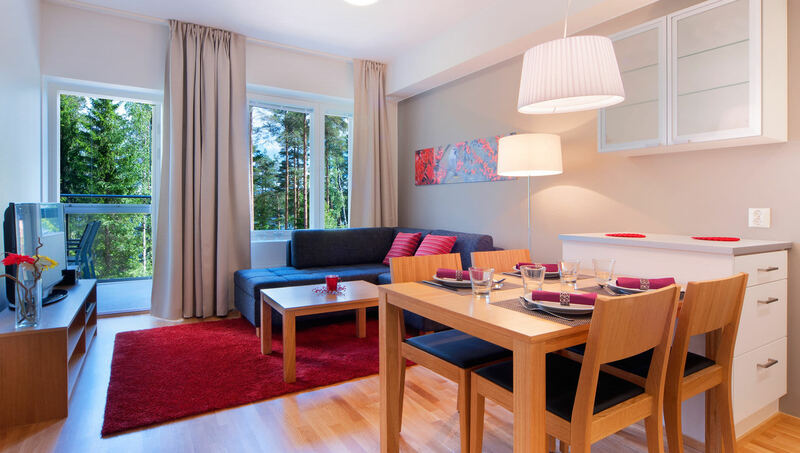 You have indoor access to Imatra Spa’s upscale services via the adjacent Promenade Hotel. To perfect the day, you can cool off on your own private balcony after enjoying the sauna, taking in the surrounding lake scenery.